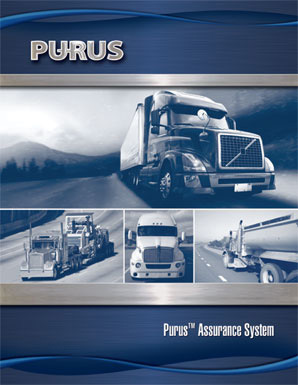 The PURUS® Assurance System is designed to provide Fleet Managers and Owner-Operators with an internal view of equipment systems. Administered by POLARIS Laboratories, the PURUS® Assurance System offers easy to use fluid analysis test kits, rapid test results, and secure online paperless reporting and equipment history tracking. Contact your local Purus® distributor for details.